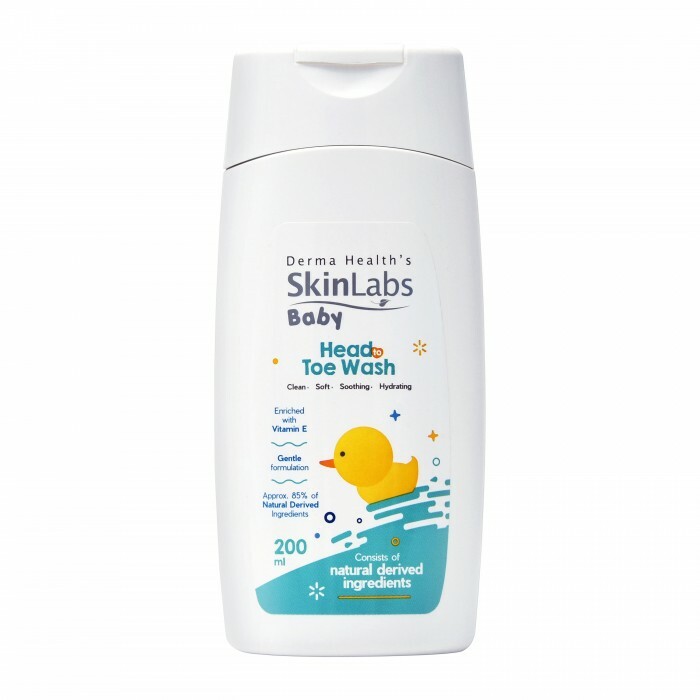 A gentle cleanser for your babies & toddlers delicate skin. Contains 85% natural derived ingredients such as Castor Oil which helps restores skin hydration & soothes skin irritation and redness. Enriched with Vitamin E for baby’s hair and skin, leaving them silky soft with a delightful and gentle fragrance. Leaves your cuties kissably clean! Suitable & gentle enough for everyday use. Direction for use: Pour a small amount into palm, lather and apply onto wet hair and body, gently massage and rinse well with water. 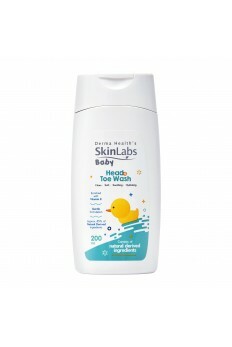 Ingredients: Aqua, Sodium Laureth Sulfate (Naturally Derived), Cocamidopropyl Betaine (Naturally Derived), Disodium Laureth Sulfosuccinate (Naturally Derived), Glycerin (Naturally Derived), PEG-40 Hydrogenated Castor Oil (Naturally Derived), Rice Bran Oil (Naturally Derived), Tocopheryl Acetate (Vitamin E), Citrus Aurantium Bergamia (Bergamot Oil) (Naturally Derived), Guar Hydroxypropyltrimonium Chloride (Naturally Derived), Polyquaternium-1) (Naturally Derived), Fragrance, Citric Acid (Naturally Derived), Phenoxyethanol. Warning: Avoid contact with eyes. 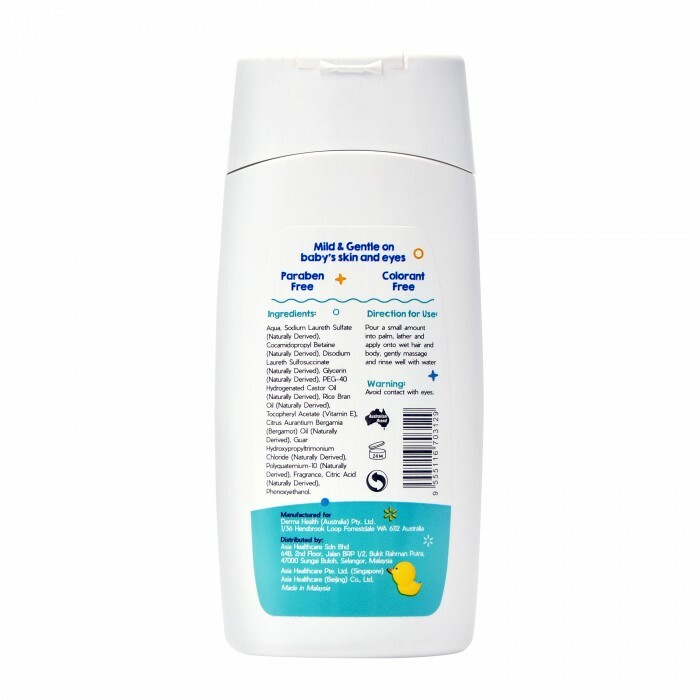 Paraben Free, Colorant Free.